The 611 series from WE Knife Co. offers ergonomic, grooved titanium handles and a recurve blade made from CPM-S35VN stainless steel. 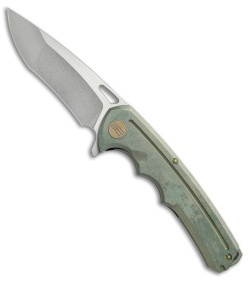 The knife is equipped with ceramic ball bearings for quick blade deployment and smooth flipping action. This 611F model has a tumbled, green anodized titanium handle and a two-tone blade with stonewashed grinds and satin flats. 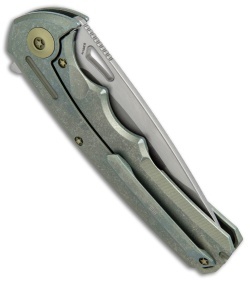 Includes a secure titanium pocket clip and a bonus adjustment tool. Ceramic ball bearings provide incredibly responsive deployment. Finger grooves paired with ample jimping offer an excellent grip. 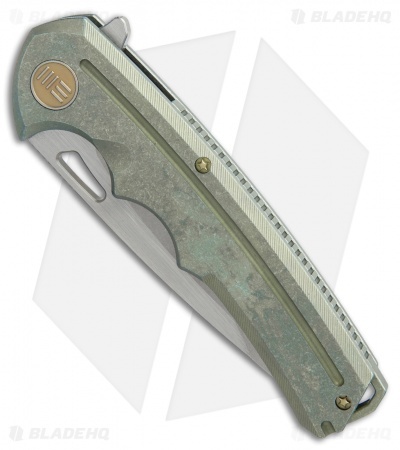 Titanium frame construction for a lightweight, easy to carry build.